There’s two kinds of ‘laws’ in this world. There are ‘rules’ that are put into play by humans who are seeking to control behavior, and then there are ‘underlying dynamics’ that never change. You get the idea. The rules are set by the owner of the pool to minimize the expense to him or her. They don’t want to be sued, they don’t want to clean up unpleasant things, they want people to enjoy their time at the pool and not cut their foot on your corona bottle. But kids run and horseplay at pools all the time without getting hurt. People sip coronas next to pools with great success. Kids get wild in pools all the time and yes, that warm spot in the pool had a vital source. We break ‘laws’ like this all the time because we know they are more of ‘suggestions for safety’. That’s why you speed everywhere you drive. Then there are laws that you can’t argue with, like gravity. Gravity always works, without fail, without concern for our opinions or preferences. If you jump out of a plane, you need some kind of force to reckon with gravity, such as air pressure against a tarp that is strapped to your back. You can argue that gravity doesn’t exist, but the truth of gravity makes your argument invalid. Gravity just exists. So what category do we put God’s laws in? A better place for God's commands is in the category of ‘underlying dynamics’ - such as gravity. You can’t get away from them, you can’t argue against them, they just are. And eventually your arguments against them will be invalid and, in fact, will transgress against all logic, reason, and experience. God’s laws are gravity. They are the threads that holds the fabric of reality together. If this is true, then reason, logic and history should lead any honest observer, whether they have Judeo-Christian Ethic or are fully atheistic, towards a recognition of these laws because we all live within their force. It’s not surprising then, that any reasoned undertaking to describe correct moral behaviors end up saying many of the same things. The Tao, for instance advocates a way of life that is in harmony with nature and experience. Among it’s chief tenants, is a reverence for the elderly; honoring their way of life and taking to heart the wisdom that they pass down. This coincides well with the Judeo-Christian understanding of the 4th commandment – to honor your father and your mother so that it will go well with you and you will live long in the land. The Christian teachings on Natural Law come to nearly identical conclusions as the Tao. When we apply logic and good reasoning to our surroundings, we necessarily come to realize that some things are right and some things are wrong because these laws actually exist. Murder is always in violation of this universal ethic, wherever you are, and whoever’s life you are ending. ·Any nation that does not recognize the Natural Law surrounding sexuality will reap the consequences of a fatherless population. Any nation that institutionalizes theft, whether through excessive taxation, nationalizing private enterprises, or plain old reckless waste will inevitably reap mass poverty. Why? Because we consent to it? No… because gravity always works. The great tragedy is that often the consequences for ignoring the Law falls not on the perpetrators, but often on the innocent and the weak. People lost their life savings in 2008 because major banks commit fraud. Abused Children become populations that begin wars. And ideologies that go against gravity, such as modern gender theories, end up harming those they claim to wish to protect. The effect of ignoring the natural law is indiscriminate; just as the effects of gravity. Stephan’s arguments are not rooted in a divine revelation, but rather in logical observation. There is an inescapable “isness” that we all must adhere to or inevitably suffer dire consequences. Stephan’s argument is similar to what St. Paul puts forward in his letter to the Romans. Paul says everyone, both Jews (who received divine revelation of God’s laws) and Gentiles (who did not receive this revelation) are aware of a Universal Law. St. Paul argues logically that every human is reacting to something that is universally known. Stephan Molyneux, who has an admirable care for children, fights tooth and nail for people to see the truth – that violence always produces the opposite of what it intends. He notes that children who are abused generally are perpetrators of abusive behavior, damaging generation after generation. The behaviors that violate ‘gravity’ eventually bring you down - and not only you, but others as well. So, cultures that create laws that coincide with these gravity-like forces will enjoy peace and longevity, while nations that put in place laws that are in conflict with these forces, will inevitably come to ruin. Here, moral atheists, orthodox Christians, Orthodox Jews, and Taoists all share some common ground: they all recognize gravity. They know one deep and abiding truth – gravity does not play favorites. And so they are compelled out of love for their fellow humans to orient people towards its effects. By observation and rational arguments, they seek to unveil the truth of it’s existence. They teach their children to acknowledge it and guide them to live by it’s unchangeable truth. They fight against lies that seek to cover up the truth. They call out the spinsters who try to argue that gravity doesn’t exist. 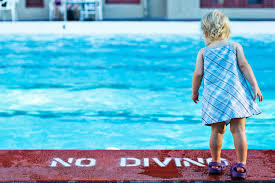 Natural Law, Universally Preferable Behaviors, The Tao, call it what you want – it’s not arbitrary rules at the pool, but rather a description of how moral gravity functions. Christians find common ground with those who notice the reality of moral gravity. Only in Christianity, do we have a God who not only reveals gravity to us, but also bears the full weight of gravity in the person of Jesus Christ for our sake.